Sometimes you love a pin so much you want to wear it as a necklace. Or you love a necklace so much you want to wear it as a pin. Either way, with this convertible pin back, you can do both! 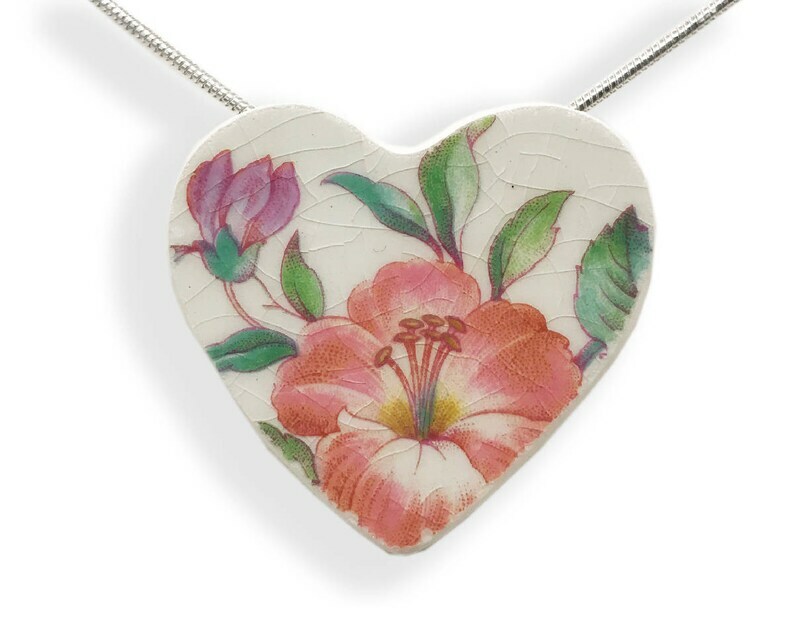 Convertible Pendant/Pin Size: 1.5"x 1.5"
An artfully designed heart necklace says it all. LOVE! LOVE! LOVE! Hand crafted one-by-one from vintage broken china, this convertible necklace/pin is unique and timeless.